Yes! I finally did it! 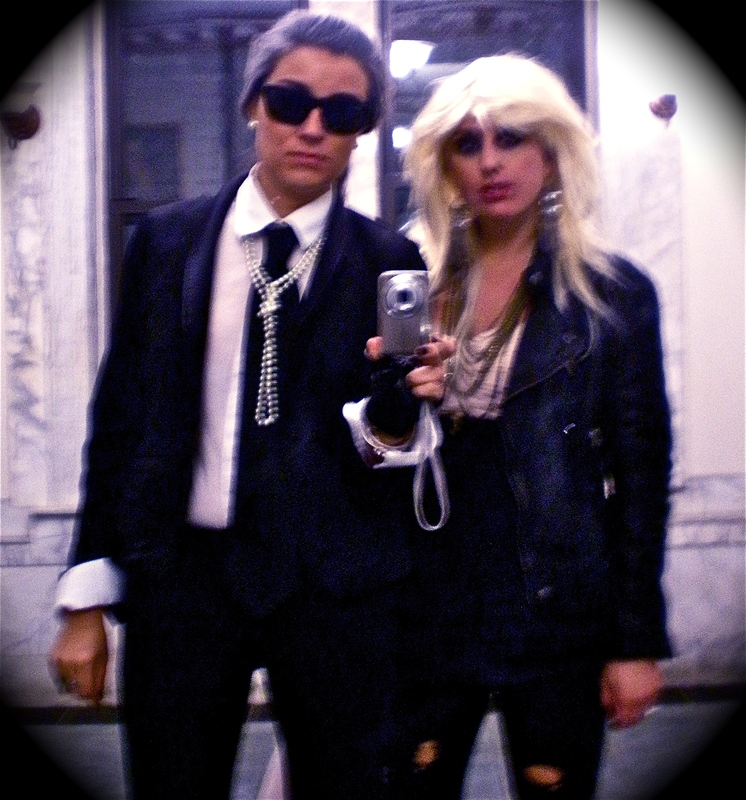 This year for Halloween I dressed as one of my favorite fashion designers - Karl Lagerfeld. It was actually a very easy costume to throw together, but the effect was pretty phenomenal. The main ingredient? White hair spray. H&M white button down; BDG jeggings; Steve Madden shoes, Ray Ban sunglasses, faux pearls; Aldo gloves; tie borrowed from downstairs neighbor (all topped off with Moira's J. Crew Collection tux jacket. We couldn't get a real cab to save our lives, so we boldly went where usually only tourists go, and took a pedi-cab to the party. We took the L train circa 3 am... with about 1000 other people. And then found a picture frame on the street. So much fashion & angst.